Productivity in Ramadan…a Myth or Reality? Those who completely gave up and used the shroud of “Ramadan is a month of worship” as a cover for their inability to be productive at work and in the community during Ramadan. Our understanding was different. We believed that productivity is possible in the modern world and there are concepts in our religion and practical tips and techniques grounded in psychology and physiology that we could benefit from and apply during Ramadan to lead spiritually, physically, and socially productive lives. Why is it important for you to be productive in Ramadan? Simon Sinek, in his famous TED Talk, talks about the importance of starting any venture with “WHY” before you go into the how and what. By defining why, it becomes easier and easier to define the how and what. This is exactly where we’ll begin with today. We’ll first ask the question: “Why is it important for you to be productive during Ramadan?” The answer to this question is in the video below from last year’s productive Ramadan online course. Now that we’ve established the why. Let’s move on to the how and what. Spiritual Productivity: This is productivity that stems from practicing our deen and being close to Allah (Subhanahu Wa Ta’ala). It’s about achieving Barakah in our lives and seeing Divine Goodness being attached to our time, wealth, health, family, children, work, and everything we have or do thus enabling us to be more productive. Physical Productivity: This is productivity that comes from managing our minds and bodies and the physical aspects of our being. It’s about practicing certain tips and techniques and using our willpower and self-control to make the right choices for our mind and body in order to stay productive. 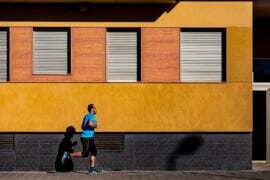 Social Productivity: This is productivity that derives from other people around us. It’s the productivity that comes from being part of a family, neighbourhood, community, Ummah and Humanity at large. It’s a selfless productivity that is often neglected but direly needed in today’s world. 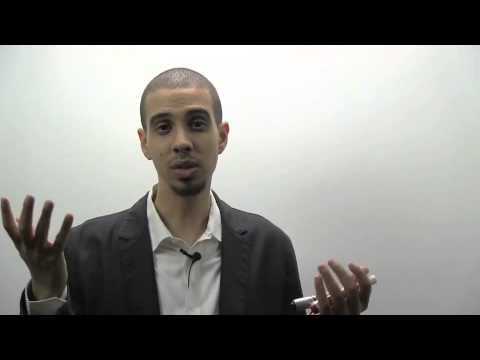 What I’ll share with you below is some content that we used to have on our Productive Ramadan online course. However, we’ve updated the content and added more richness to it in the new course released this year. (If you’re interested, you can find out more about the course here). Having said that, the videos and information below should give you an abridged understanding of what we mean by productivity in Ramadan and how you can tap into it. Let’s explore each of the three productivity spheres described above individually. Understanding the above concepts and having a mindset that sees spirituality as a source of barakah and productivity is key to leading a productive life during Ramadan and beyond. Unfortunately, many of those who simply do not want to change their ways find it more comfortable to use religion/Ramadan as an excuse to not being productive during Ramadan, and I hope the above videos would help them to realise otherwise. Mastering your mind and mastering your body, are two powerful skills that are needed to lead a successful life. These two skills are put to the test during Ramadan because your body is thrown off it’s usual food/sleep cycle and it is asked to adapt very quickly in order to survive the month. Moreover, your mind is tested with trying to focus with low energy and adapt to new behaviours during the month. However, what if you didn’t see Ramadan as a testing ground and instead, you saw it as a training ground? A training ground for your mind and body to learn new skills and behaviours that would enable them to lead a successful life. How would that be? Our bodies are the vessels for our souls. They are the machines that Allah (Subhanahu Wa Ta’ala) has blessed us with in order to fulfill His commands and gain His pleasure in this life and the hereafter. Once we have this understanding of the purpose of our bodies, the question then arises, how can we ensure optimal performance from these machines in order to fulfill Allah’s commands in the best way possible? If we can optimize these three for our bodies, you’ll be amazed at what you can do. (And you don’t have to be an olympic athlete to reap the benefits of an optimally performing body. Anybody who invests in their body’s sleep, food, and fitness will gain positive results). Lack of sleep or disturbed sleep cycle due to night prayers (taraweeh/qiyam) and late night meals. 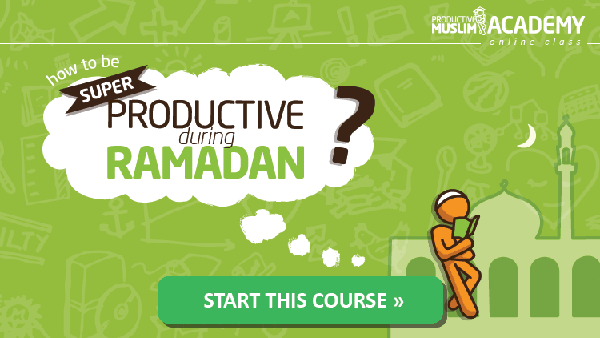 >>> See how “Module 4: Physical Productivity” of the Productive Ramadan Online Course can help you manage your sleep and overcome the challenging “night life” of Ramadan – iftar, isha, taraweeh, qiyam, suhoor – and sleep! So far we’ve covered individual aspects of productivity. Let’s turn our focus to what we can do beyond ourselves and how we can be productive with our families, neighbours, communities, and Ummah. The video explains explains the meaning of social productivity and why we should care. 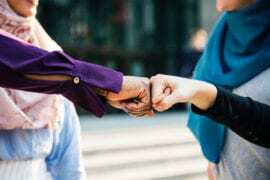 It then talks about different ways to get involved in socially productive projects during Ramadan as well as how to balance your time between the different social productive activities in your life. I highly recommend you to watch this. >>> Make the intention and take action for a Productive Ramadan! I hope this post convinced you that productivity during Ramadan is not a myth, but a reality. Yes, it does take effort to be productive during Ramadan, but it’s not impossible. If you care about your productivity during Ramadan and don’t want to feel guilty that you’ve wasted your Ramadan, or want Ramadan to be a truly transformative experience for you, then I highly recommend that you join us and over 1,000 students from around the world on our Productive Ramadan Online Course. I don’t want to push you into buying the course or give empty promises. I simply want to encourage you to visit www.productiveramadan.com and decide if this is for you. Read all the information there and what we’ll share with you. Then (and only then), if you’re comfortable with our course content and structure and if you feel that it will bring benefit to you, sign up for the course and begin your Productive Ramadan journey! Moreover, as a personal guarantee from me, if you go through the course and you don’t like it, or you don’t find the information useful, I have a 30-day money back guarantee for you. If for any reason the course does not meet your expectations, drop us an e-mail, and we’ll refund you immediately; no questions asked. This article was first published on June 17, 2014.